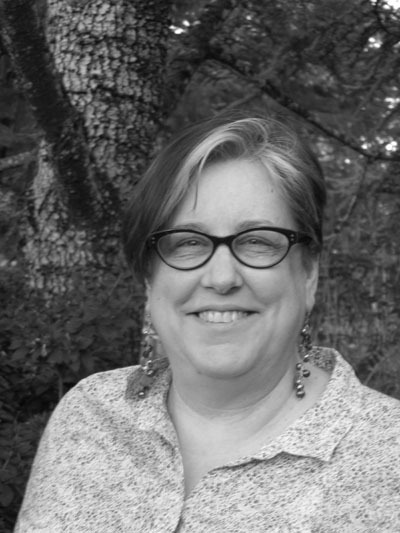 Laura LeHew’s poems appear widely in publications such as Anobium, Eleven Eleven, FutureCycle: American Society: What Poets See, PANK and Slice. Her chapbook, Beauty (Tiger’s Eye Press) is in its 3rd printing, her chapbook It’s Always Night, It Always Rains was released (September, ‘12) as part of a collection Ashes Caught on the Edge of Light: 10 Chapbooks (Winterhawk Press). She has won state and national awards including residencies from Soapstone and the Montana Artists Refuge. Laura received her MFA in writing from the California College of the Arts and interned for CALYX Journal. She guest edited The Medulla Review. Laura is the editor of Cascadia (a student contest awards anthology), former President and former Contest C hair for of the Oregon Poetry Association, and is on the steering committee of the Lane Literary Guild. Uttered Chaos, her small press, has produced numerous books and anthologies by Northwest authors. In her alternate life Laura has been active in the high tech industry for over thirty years. Laura loves zombie movies, Dexter and Anne Carson [in a purely platonic-poetic way]; she has one husband [they met at a science fiction convention], seven cats, Tessa, Mr. Socks, Baby, Dorian (yes he is grey), and the Army of Darkness (Raven, Shadow and Smoke). S he writes, edits and sharpens her claws in Eugene, Oregon.